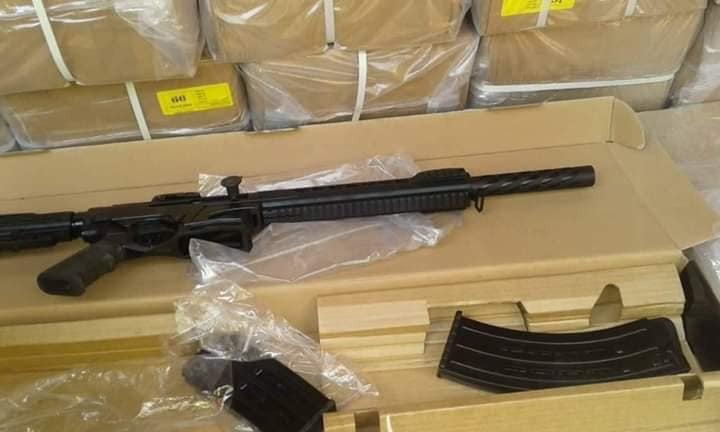 On Friday 11th of January Gambian customs discovered three M16 rifles, 8 Gulf pistols, and a number of double barrel shotguns. The weapons were bought and imported by the owner of the Chinese GACH Company. The company is involved in black sand mining in Sanyang and owns a tomato factory in Lamin Village. The source further said that there were also found more than 200 boxes of which the content is still unknown. The small weapons are licensed but the 3 M16’s are not and therefore illegal smuggled into the Gambia. These weapons are either bought to either to kill animals, or even worse, to kill people. The Chinese are becoming famous for killing African wildlife in their free time. As they did this earlier this week in Kenya where three Chinese investors were arrested for the possession of rhino horn, ivory and large amounts of dog meat. 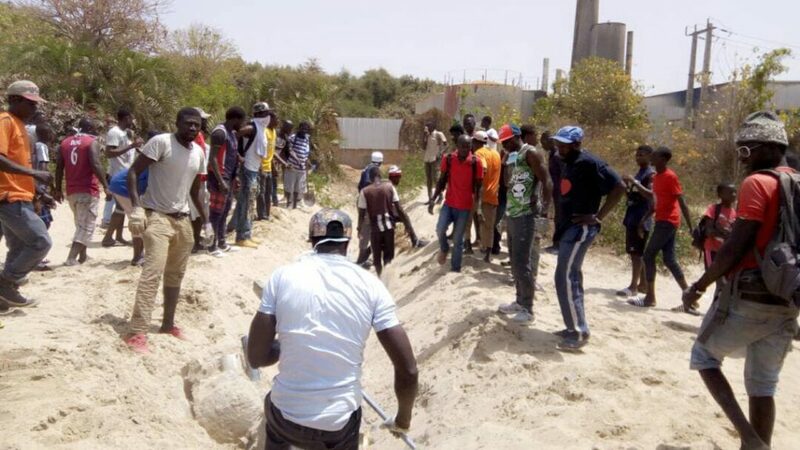 Gambian Environmentalist remove an illegal pipeline installed by Golden Lead Company in the summer of 2018. Fear seems to have struck the Chinese investors in the Gambia since local youths have started to protest against the destruction of their environment. In particular now the six youths from Gunjur, who were arrested because they removed an illegal Chinese pipeline, have been discharged by Brikama Magistrate Court two weeks ago. Pipelines from Chinese fishmeal factories that are dumping large amounts of arsenic acid waste water into the ocean are causing unrest among the local people. They are concerned the toxic chemicals will end up in their food chain as they eat the fish that is swimming in waters where this dangerous waste water is dumped. But there is more than that. Sand mining is another problem that is concerning the coastal villages. ‘The sand dunes are the last protection that we have against a rapidly rising ocean. Right now, sand mining is causing a massive destruction. You won’t believe it until you see it with your own eyes. Right now the sand mining is threatening the last big dune that protects us against the ocean. If we don’t stop these companies they will literally kill us’ says concerned villager. Large coastal areas in Gunjur are because of sand mining transformed into a desolate place which is ready to turn into desert. Behind the last dune in the background, the ocean is waiting to invade. Gambian environmentalist are however fearing the worst. They are convinced that the investors are arming theirselves against them and are concerned another Faraba incident is likely to happen soon if the government is not acting very soon. 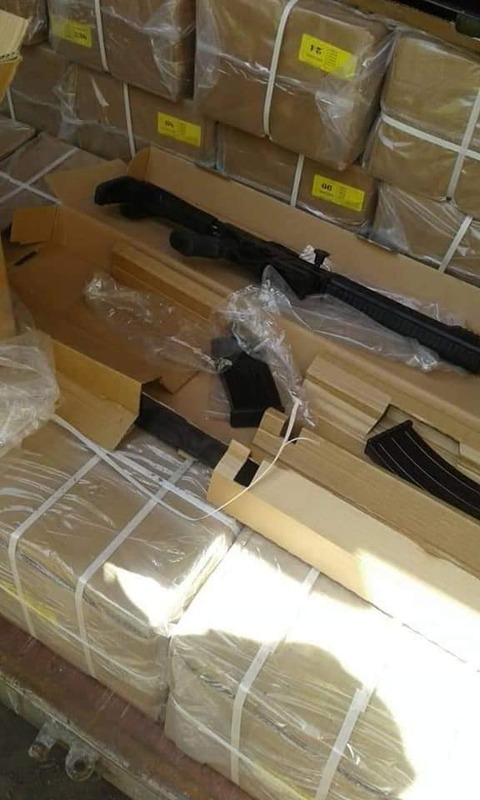 ‘How many boxes of these kind of weapons have already passed the customs and are already smuggled into the country? What is going on here? All we want is a healthy environment to live in’. How to prevent another Faraba incident? If companies like GACH (Gambia Angloa CHina) are starting to arm theirselves with M16 rifles, another Faraba incident can’t be far away. 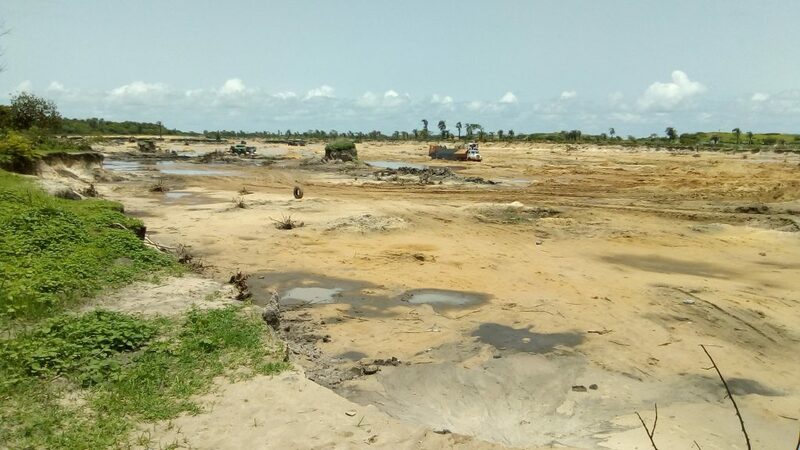 In Faraba Banta, in June 2018 three youths were murdered by the Gambian police while protesting against illegal sand mining from the Julakey Company in their village. Nine other people were wounded. As a result of this shocking incident, the Faraba report was created. In this report the following advice was given. Faraba report: What is the essence of commissions if authorities are not taking heed of their recommendations? Is allowing Chinese investors to arm themselves with M16 rifles the best way to prevent another Faraba incident? Everybody with a little bit of common sense knows that this is the best way to provoke another shooting. The Gambian government should be very careful with this and should therefore inspect all properties of foreign investors. Sand mining has become a hot issue in the Gambia and for now it seems that the greed for money is winning instead of common sense. If our government took a little more responsibility for our environment this all would not happen. However, The Gambia seems the be the country where everything is possible. At least, for foreign investors. What has become of this New Gambia we all voted for? The government should be here to protect us and stop the people that are threatening us. These developments are very worrying, but we will never relent in fighting for a future in a clean environment. We are not against any investors, but when they are threatening our health, human rights and environment we will have to act.